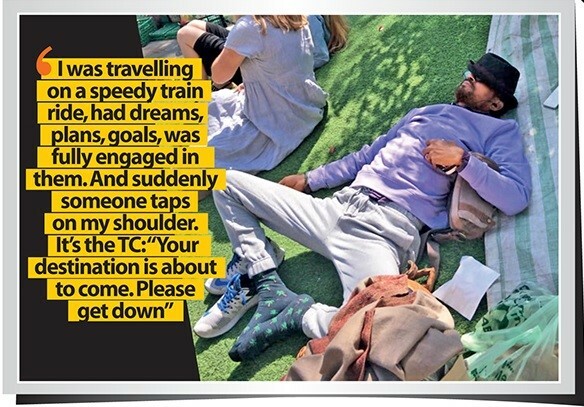 Last year, in conversation with Times of India, Irrfan revealed that he was diagnosed with a high-grade neuroendocrine cancer and shared his recovery journey. Speaking to Anshul from TOI, “It’s been quite sometime now since I have been diagnosed with a high-grade neuroendocrine cancer. This new name in my vocabulary, I got to know, was rare, and due to fewer study cases, and less information comparatively, the unpredictability of the treatment was more. I was part of a trial-and-error game,” said Irrfan. “As I was entering the hospital, drained, exhausted, listless, I hardly realised my hospital was on the opposite side of Lord’s, the stadium. The Mecca of my childhood dream. Amidst the pain, I saw a poster of a smiling Vivian Richards. Nothing happened, as if that world didn’t ever belong to me. I was left with this immense effect of the enormous power and intelligence of the cosmos. The peculiarity of MY hospital’s location – it HIT me. The only thing certain was the uncertainty. All I could do was to realize my strength and play my game better,” Irrfan said. Many Bollywood celebrities tweeted supportive messages for Irrfan and wished him well. Glad to see that he's back to the film sets to give yet another wonderful performance! Kollywood Celebrities Who Battled Fatal Illnesses And Won! Drinking Carbonated Drinks Can Cause Cancer & Depression?